Brad Hamilton at the New York Post looks at the new, quiet lowkey Cosa Nostra. Meet the new mob — same as the old mob. Thirty-three years after John Gotti carried out his audacious hit on crime boss Paul Castellano, which flouted Mafia rules and brought a wave of devastating prosecutions under the Dapper Don’s brash reign, New York’s five crime families have reverted to their old-guard ways. No more press conferences or TV appearances. No more weekly meetings with capos at favorite restaurants or social clubs. No more shootouts between warring factions. No more wire rooms for taking wagers. Instead, gangsters try to keep their heads down and earn as they’ve done for decades, with drug dealing, loan-sharking, running strip clubs and protection rackets and skimming from union construction jobs, cops and prosecutors say. Bookmaking is still a lively trade, but most of it is done online using offshore accounts, not at smoke-filled gambling dens. Crimefighters say the new old way is aimed at avoiding police scrutiny and preventing turncoats from selling out their fellow wiseguys. Lieutenants and soldiers avoid gathering in groups so as to be less vulnerable to the wiretap or surveillance photo. 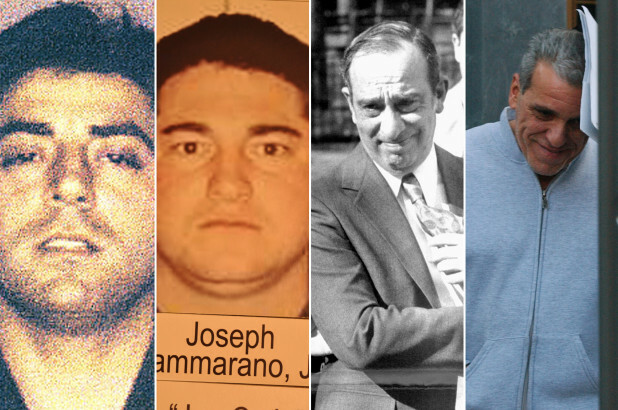 And with suspicion permeating all activity, families have turned to veteran, low-profile leaders, including geezer gangsters Carmine Persico, 85, and John “Sonny” Franzese, 101, who hated Gotti’s gabby flamboyance.